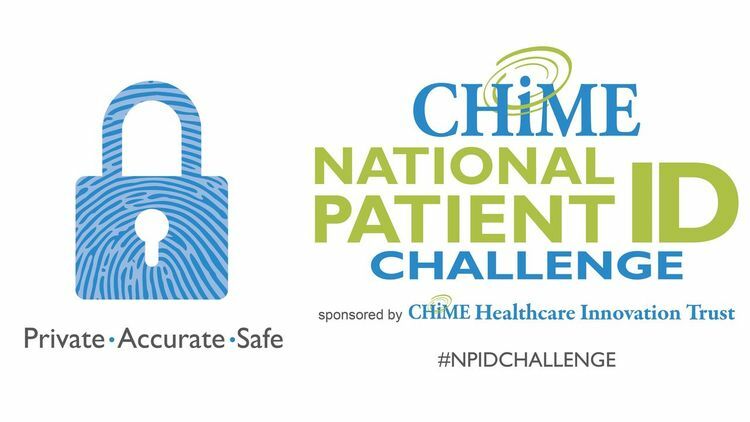 The CHIME National Patient ID Challenge is a global competition aimed at incentivizing new, early-stage, and experienced innovators to accelerate the creation and adoption of a solution for ensuring 100 percent accuracy in identifying patients in the U.S. Patients want the right treatment and providers want information about the right patient to provide the right treatment. Patients also want to protect their privacy and feel secure that their identity is safe. Accurate identification can greatly reduce the risk of preventable medical errors and significantly increase quality of care. It can also drive out unnecessary costs by reducing inefficiency. First and foremost, patient identification is about patient safety, and we need to get it 100% right the first time, and every time. We believe the CHIME National Patient ID Challenge can make this happen once and for all. In the past, healthcare providers kept all their patients’ records in paper files. If you went to a new provider, the only way for the information to be exchanged was through fax or regular mail. There was no hope that in an emergency, the ER doctor could see what conditions you had or what medications you were already taking. When you were sent to a specialist, sometimes they had a small amount of information sent over by your primary care physician, and often times not. Over the last 20 years, many providers have converted their paper records to electronic records. Efforts are underway to share information between providers (hospitals, primary care practices, nursing homes, etc.) so that, if given permission, they can see your health information to provide the best care possible. It turns out this is not easy. Consider the number of John Smiths living in the same town, sometimes even under the same roof. Now think about the number of John Smiths in a county, state or the nation. There are even many John Smiths or even John A. Smiths with the same birthday. What if John sometimes gives his name as Johnny Smith? Or perhaps his birth name is really Edward John Smith but he goes by John. Healthcare organizations spend a lot of time using and perfecting complicated algorithms that use a lot of different pieces of information to ensure that the John A. Smith standing in front of them is the same John A. Smith found in their system. Trying to delete duplicate errors and match records from one healthcare provider to another for every patient takes an inordinate amount of time that could be spent focusing on prevention and treatment, not matching records. Because it is still so difficult to get records from other providers, patients often have x-rays and other tests repeated, which in some cases is harmful to the patient, and at the very least wastes time and money. The information used for identification, which typically includes birthdate, Social Security Number and address, is collected by multiple people, and sent by regular and electronic mail between providers and billing companies. Theft of this personal information is much more difficult to recover from than theft of a national patient identifier. A stolen national patient identifier can simply be terminated and replaced with a new one. In contrast, a patient cannot replace their birthdate and they are likely not planning to move. Their stolen Social Security Number is tied to all sorts of financial and personal records that are now vulnerable to theft. In fact, it is technically illegal for Social Security Numbers to be used for health records, but it is done all the time. This challenge provides an opportunity to establish a more secure method of patient identification. Unfortunately, even with all of this effort to try and match records as accurately as possible, in the absence of a national patient identifier, the current matching error rate is of great concern. In an environmental scan in 2014, the Office of the National Coordinator for Health Information Technology found that the best error rate is around 7%. Seven out of 100 records are mismatched. Perhaps the John A. Smith record found was not the right one. This is pretty serious when you consider that the provider may unknowingly prescribe a medication that interacts poorly with a medication John is already on or cause him harm due to a condition he has. Many patients cannot tell you accurately themselves what their prescriptions are or name all of their conditions. 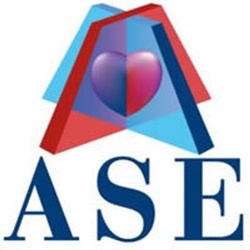 Worse still, the error rate is usually closer to 10 to 20 percent within a healthcare entity and it rises to 50 to 60 percent when entities exchange with each other. That’s just not good enough. It’s not safe. We need patients to be identified accurately 100 percent of the time. We know it is equally important to protect each and every patient’s privacy. Patients are protected by the Health Insurance Portability and Accountability Act of 1996 (HIPAA), but laws can only protect if they are followed, monitored and enforced; that has been very difficult to accomplish even with paper records. We think the development of a national patient identifier is actually an opportunity to enhance patient privacy. What this challenge is not: This challenge is not directly about exchanging health information. It is not a patient portal that lets patients look at all of their data in one place. It is not a provider portal that lets providers look at all of a patient’s data in one place. It will not fix all of the duplicate records in a health center’s system. It will not find and link all the healthcare entities that have data for a patient. However, we believe that a viable and scalable solution to patient identification is an essential building block to achieving greater information exchange between providers. What this challenge is: Simply stated, this challenge is about privately, accurately and safely confirming a patient’s identity 100 percent of the time. Why the CHIME National Patient ID Prize? We believe that the technology to solve this problem is already available, but hasn’t been put together in a viable and scalable solution yet. And, in order for a patient identification system to work, we need all stakeholders—patients, providers, technology companies, the government and others—to agree on a standard way to accurately and safely identify patients. Imagine if online and storefront retail stores couldn’t quickly verify your credit card. How much more important is it then for patients throughout the nation to be quickly, privately, accurately and safely identified so that the appropriate healthcare treatment can be delivered. This challenge will enable the best solution for identifying patients to be developed and will provide all the stakeholders with the capability to start working toward implementing the solution once it is ready. This will result in a dramatic increase in safety and efficiency throughout the healthcare system. Scale to handle all patients in the U.S.
Read the Challenge Guidelines for complete rules and submission requirements. Use Case Scenario's "Include diagrams, pictures or any other info..."